Is Web to Print the way forward? You are here: Home - Print News - Is Web to Print the way forward? In our recent experience, clients want simplicity, full user friendly control but still have a voice at the end of the phone to ensure that their printing requirements meet their expectations and we hope, exceed them. 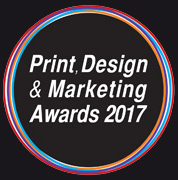 The Freestyle Print team have been very interested in these top tips of how to make the most of Web to Print in a recent issue of BPIF (British Printing Industries Federation, of which we are of course members). If you’re interested in finding out more about the probably cost savings and organisational benefits of web to print, contact us for more information on how Freestyle’s web to print offering could help you.